After moving to the UK three years ago with her husband and children Ana started to experience severe isolation. Ana’s husband moved their family to London three years ago, Ana did not want to leave her country but she went because her husband wanted her to. Her husband controlled every aspect of her life. Ana was not allowed any money of her own to care for the children or herself as her husband believed he was providing them with enough. 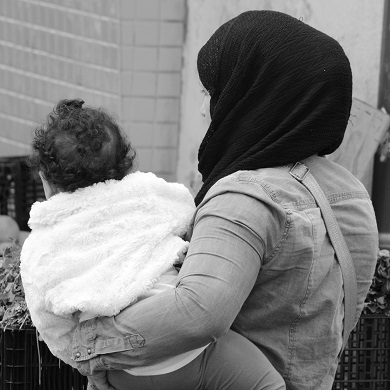 Having no money or freedom left her unable to leave the house or provide activities for the children, Ana felt isolated and unable to cope as a mother in this new country where she did not know anybody. Ana’s family was referred to Westminster Befriend a Family by a social worker. They were allocated a family befriender, Suzie, who over time built trust with Ana and helped her to deal with her problems. Suzie met with the family every week for two or three hours. During this time she would play with the children and Ana as well as helping Ana help her children with their homework. Ana’s whole family was also able to share their concerns with Suzie and to build a trusting relationship. Once Ana and her family had begun to adjust to a new cultural environment, Ana began to attend the parent support group (coffee morning) every week and began making friends and opening up about her situation to them. This was the first group of friends Ana had made in the UK and she was grateful for the understanding support that she received from them. Their friendship has developed a lot since Ana first began the weekly support groups and she now meets with other mothers from the group regularly to carry out activities like their weekly food shops. The children engaged in weekly community-based activities, which gave them the chance to make friends too. Swimming lessons have provided a safe haven for Ana and her children to interact with others alleviating some of the isolation of their home life. Ana is insistent that Westminster Befriend a Family and the other participant families have become her family’s community.